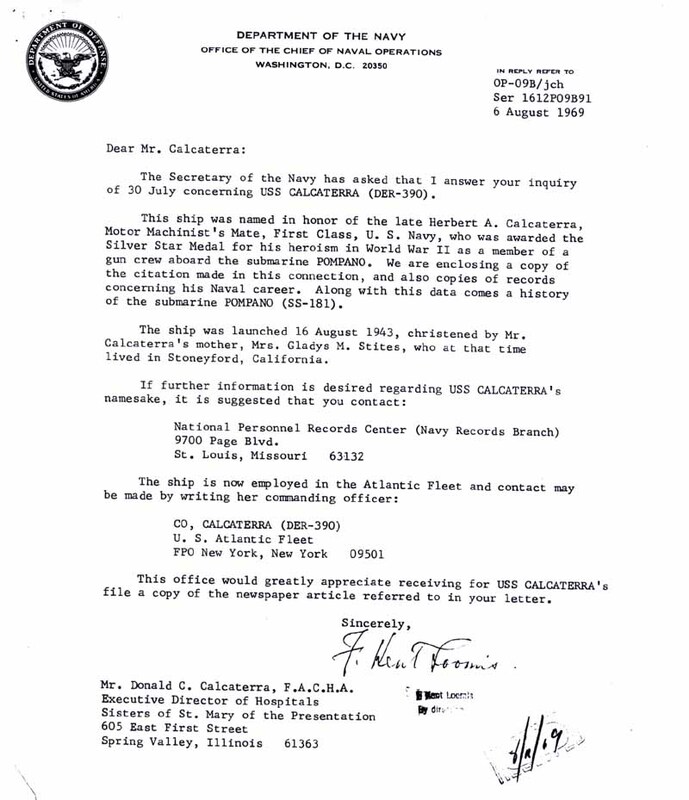 John Calcaterra's father Donald, no relation to Herbert Calcaterra, did some research on the USS Calcaterra in the late 1960s. 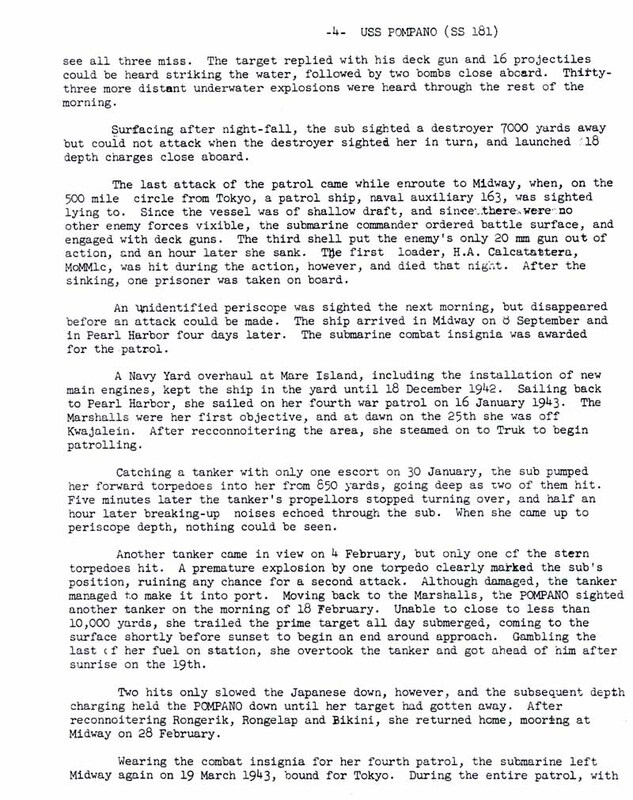 John sent along the following documents that will give you additional insight into the USS Calcaterra's namesake Herbert A. Calcaterra. 2. 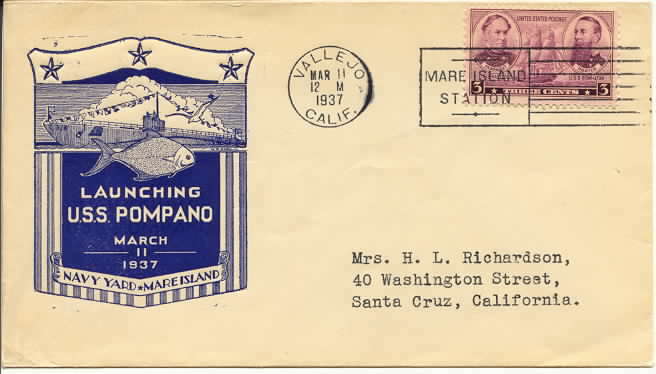 January 16, 1943 - A copy of Herbert Calcaterra's Silver Star citation, Frank Knox, SecNav. 3. 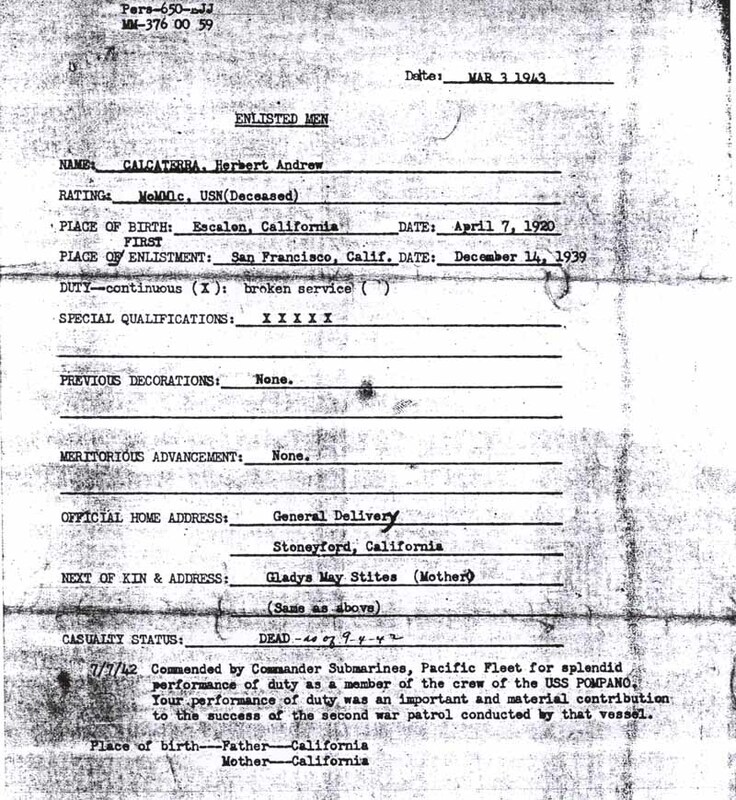 March 3, 1943 - Personnel document listing Herbert Calcaterra as "deceased". 4. 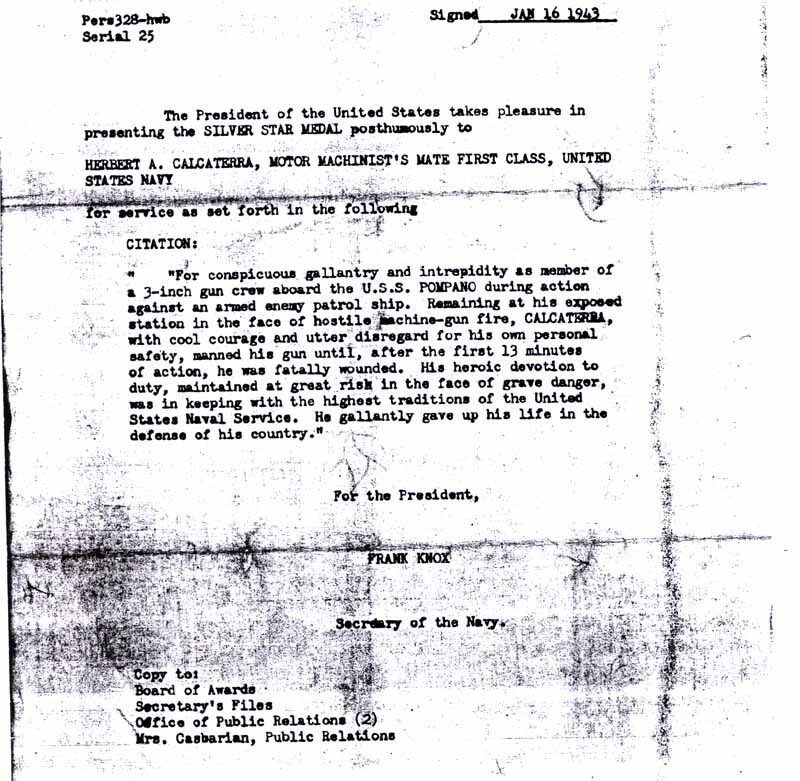 Page from USS Pompano, SS-181, historical document noting the death of Herbert Calcaterra while engaged with the enemy. 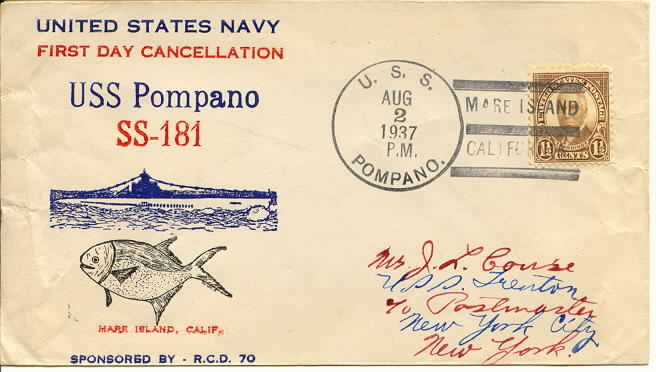 Herbert Calcaterra was killed in action during enemy attack while serving on USS Pompano.